Congratulations! You’ve been admitted to 5x5 Academy – the place where learning process is absolutely stress free, fun and easy! Training. Take your time to memorize times tables with flashcards. Learn each table visually. Practice what you’ve learned. Select any range you want to practice. The rules are simple - choose the correct answer out of four suggested variants. Exam. When you’re sure that you’ve learned times tables take an Exam to test your skills. Solve tasks before time runs out. Statistics. 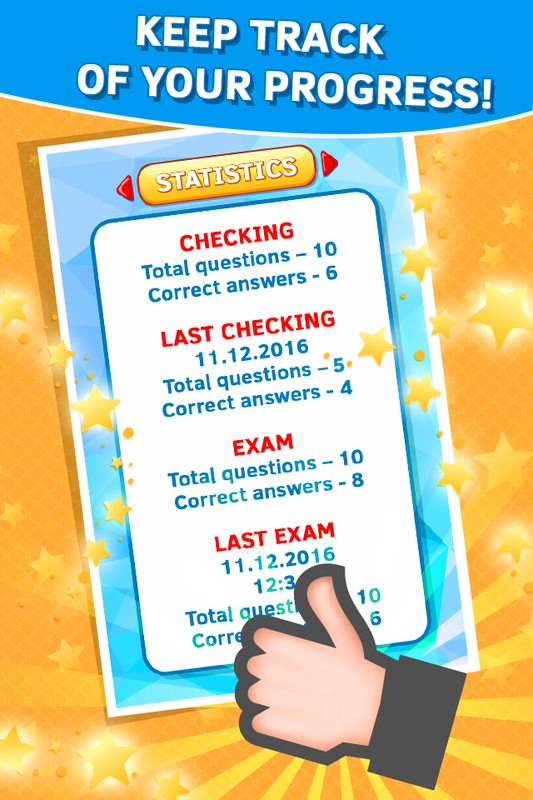 Go to the Stats to follow your learning progress. - Endless gameplay. Go back to any learning stage whenever you want.